I recently contacted Krups about getting my leaky coffeemaker fixed. They referred me to a fixit shop in Nassau County, Long Island — not quite the convenient neighborhood repair shop I, a Manhattan resident, was looking for. Luckily, I have a super techy friend who cheerfully fixes things in his spare time, and came up with an elegant solution. But most of my neighbors aren’t so fortunate. What If I Didn’t Have an Friend Who Can Fix Stuff? Jacquelyn Ottman’s book, If Trash Could Talk, inspires a new consumption culture in NYC. don’t even get me started on ‘planned obsolescence’), sooner or later everything we buy is sure to break, fray, fade, split, crack, stain, unravel or leak. Choosing to buy new rather than repairing the old impacts the environment, and costs more than one realizes. In NYC, for instance, we’ll fork over $392MM just to ship non-recyclables to out of town landfills and incinerators. And who’s mentioning the time it takes to replace our broken items and the emotional cost of losing a prized possession to decay? The Manhattan Solid Waste Advisory Board (MSWAB) is working hard to repair this issue. They are now partnering with Citizens Committee for New York City (CCNYC) to bestow $25,000 worth of small grants to projects focused on increasing revitalization, repair, and reuse in New York City. Individuals, small businesses, and not for profits are all eligible to apply. Who Could Be the Lucky Repair Grant Recipients? Hiding away in the back of many New York City dry cleaners, jewelry, lighting and audio video stores are an virtual army of handy men and women, seamstresses and tailors, welders, silversmiths, cobblers, woodworkers, and watchmakers. Many of them are being forced out of their trade by escalating retail rents, specialized high tech gadgets, and Apple ‘Geniuses’ with exclusive manufacturer access to the parts, security updates, and service information to what it takes to fix types of electronics. 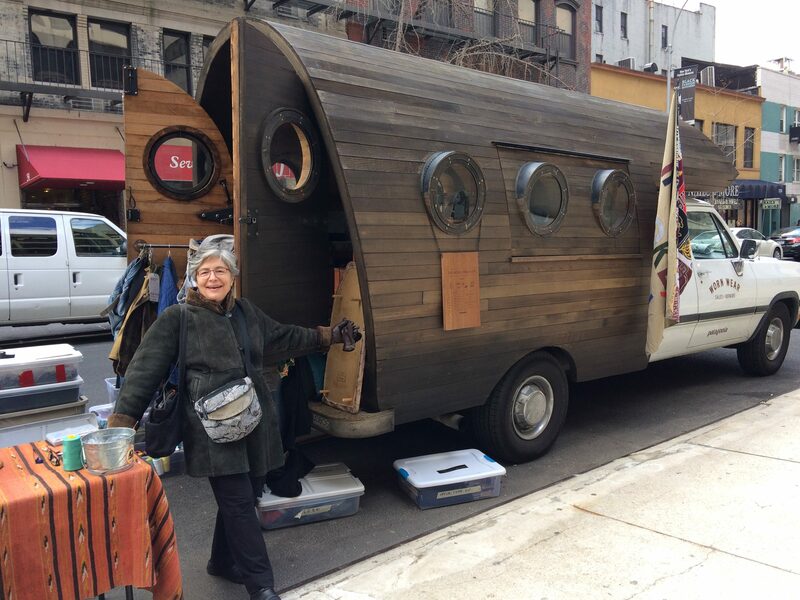 Jacquie Ottman caught up with Patagonia’s ‘Fix It’ van when it made a stop at NYC’s Fashion Institute of Technology earlier this year. Thankfully, new ideas and business models are coming to the repair rescue. Patagonia drives a Repair Van from city to city enabling customers to replace worn zippers, enhance waterproofing, and more. (I caught the truck when on a 20 U.S. College Tour, including a stop at F.I.T. earlier this year.) Two local itinerants include FixersCollective and PopUpRepair, who bring their toolboxes, ingenuity and elbow grease to various locations in Brooklyn and Manhattan. On Ifixit.com you can find guide, videos, forums and more resources to help you learn simple repair skills. Need a power drill for just the moment or two it takes to make a hole? The South Street Seaport now has a Tool Lending Library like those springing up from Toronto, Canada to Brunswick, Australia. There’s even a resource to help you find the Tool Lending Library nearest you. Did you know that the Salvation Army and Goodwill used to repair items that needed a little extra T.L.C.? What if we brought that back? It would certainly help the many handy men and skilled craftsmen being replaced by rising rents as well as factory floor automation. Whose going to take advantage of re-skilling needed to help us all consume less and create jobs in the community? Perhaps someone has an idea in need of a few bucks? 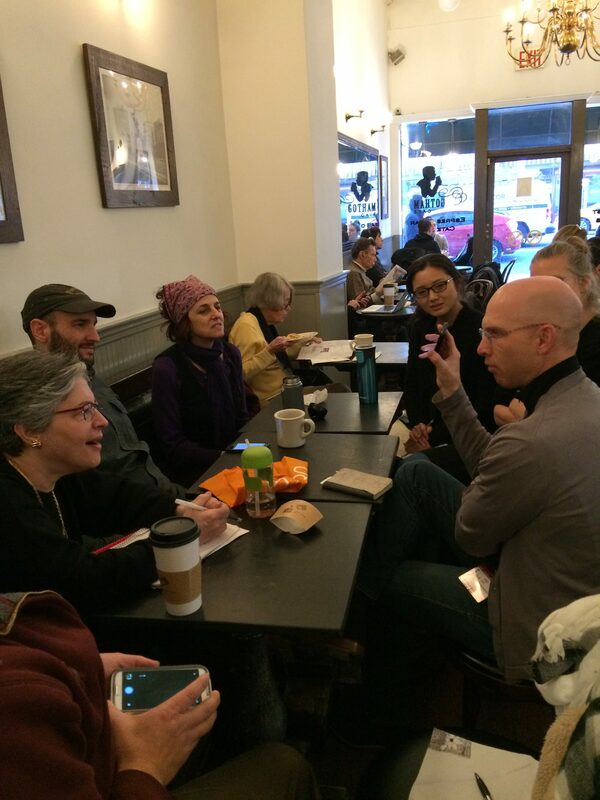 Jacquie Ottman convenes an informal meet-up to discuss repair issues in NYC. While we’re at it, why not leverage this not for profit model further to skill-up teens as well as take advantage of the skills and handiwork of older citizens? According to its website, the non-profit Recycle-A-Bicycle (RAB) with retail storefronts in Brooklyn’s DUMBO and Manhattan’s East Village ‘utilizes the bicycle as a resource to foster youth development, environmental education, community engagement, and healthy living.’ What other goods could empower kids (and let’s not forget the girls) to fix stuff and learn new things? Let’s say you know how to sew and I can weld. Or you’ve got a drill but I’ve got a lathe. ‘Repair Cafes’ like the one the UK’s Martin Charter shared with us are now popping up around the globe to bring together repair expertise that exists deep within communities, creating a new form of social occasion too. 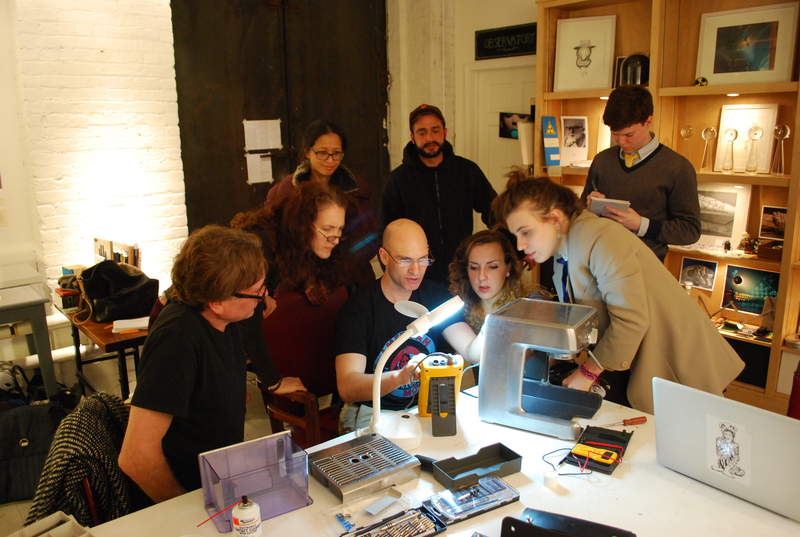 Reportedly, the first NYC Repair Cafe is coming to Bay Ridge, Brooklyn soon. Can your own church, school or PTA be far behind? DSNY has a NYC Stuff Exchange digital platform that facilitates the transfer of gently used items to new users and buyers. What if there was a parallel database for would-be repairers? Any takers? If a proposal came through to the MSWAB for a group to establish a “Where to Get Things Repaired in NYC” database, my vote would go to them. Though the lack of repair capacity is a problem that needs fixing in its own right, the Manhattan SWAB and Citizens Committee for NYC are on a promising course to change the status quo with its new grant program. Emboldened by these sentiments, they’re inspired by a key sense of the need for New York City to explore radical ideas and forward-thinking projects. However modest at first, this Reuse and Repair Grant effort will jumpstart exciting new initiatives through its example, and inspire others to reinvest in the many emerging new forms of repairing that has been reinvented for the 21st Century and a new generation of consumers and technology. WANT TO APPLY FOR A GRANT? Learn More about The Manhattan SWAB Reuse and Repair Grants HERE. Want to learn more ways to cut down on the waste in NYC? Click this ‘Zero Waste Resources NYC’ icon for 60 tips to help you save money, live better and waste less. Posting Guidelines – This and other stories published on WeHateToWaste.com are intended to prompt conversation about practical solutions for preventing waste and changing consumption culture. Opinions expressed are solely those of the contributors. WeHateToWaste implies no endorsement of the products or organizations mentioned. 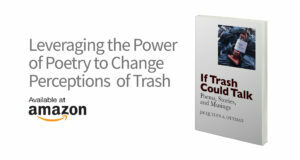 Editor’s note: The author is the Secretary of the Manhattan Solid Waste Advisory Board. A waste watcher since age four, Jacquie Ottman is on a mission to change consumption culture in NYC through the prism of zero waste. A noted consultant and speaker, she volunteers as the founding chair, Residential Recycling and Reuse Committee of the Manhattan Solid Waste Advisory Board. Since 1989, she has been showing Fortune 500 companies and the U.S. government how to develop and market products that can meet consumer needs more sustainably. An expert on green marketing and a certified creative problem-solving facilitator, she's the author of 5 award-winning books. Read more about Jacquie HERE, and check out her other posts. What a great idea!I I am definitely partial to upcycling art projects; there are so many ways you can turn something seemingly “broken” into something new. Hopefully we can get repair of all kinds trending in NYC and beyond. And don’t start talking to me about cosmetic defects! Stains! etc. Let’s be proud of the stories our clothes tell! What a great program. It frustrates me when I must toss out something valued at $125 due to a part that costs less than 5 cents to make, the product is not designed in a way to be repaired, or there is no one with the capabilities to make the repair. It’s a balancing of values – of short-term convenience vs long term caring and sustainability. Nature can get to an old growth forest on its own if left alone. I am not sure about society, but see this program is a social effort to get to old-growth.